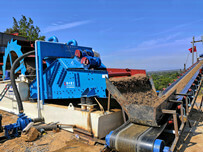 The screw sand washing machine is a new type equipment in LZZG, and very populared by many customers at home and abroad. Our company design it on the basis of riched experience and advanced technology. 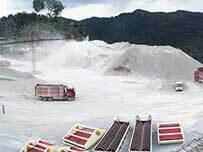 Besides, it integrates the functions of washing, dewatering and recycling, and with the characteristics of low water consumption, high quality, and low investment cost. An African customer found us online, and told us his puzzzles. Then, our company’relevant staff provided him a few suggestions and sulutions, what’s more, invived hin to visit our plant. So , he was willing to come .When he came to our machinery, he looked some products and listened to some explaination and suggestions from our experienced engeneer,finally, he decided to sign a contract with our company. I am very glad to establish a cooperative relationship with LZZG, because we have bought a machine here. This is my second to buy screw sand washing machine in LZZG. 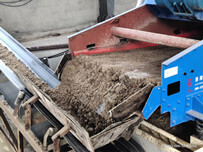 We found that their machine is very good and help us improve the loss rate of fine sand. The profits are stable and considerable. They have good goods and prefect service. 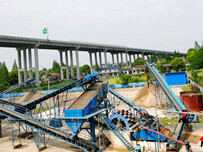 We have enough trust for LZZG, so we chose the company again when selecting mining machine. I believe this cooperation shall be very smooth.